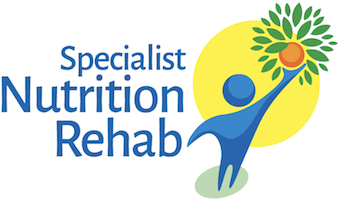 Specialist Nutrition Rehab is committed to providing a high-level service to our clients. If you do not receive satisfaction from us we need to hear from you. This will help us to improve our standards. If you have a complaint, please contact Sheri Taylor, Director. We will send you a letter acknowledging your complaint and asking you to confirm or explain the details set out. We will also let you know the name of the person who will be dealing with your complaint. You can expect to receive our letter within 5 working days of us receiving your complaint. We will record your complaint in our Complaints Register within one working day of having received it. Sheri Taylor will then invite you to meet to discuss and hopefully resolve your complaint. Sheri Taylor will do this within 5 working days of the end of our investigation. Within 2 days of the meeting, Sheri Taylor will write to you to confirm what took place and any solutions as agreed with you. If you do not want a meeting or it is not possible, Sheri Taylor will send you a detailed reply to your complaint. This will include suggestions for resolving the matter. This will be done within 5 working days of completing our investigation.